Farm developed Waters’ ACQUITY UPLC System to match the performance needs of innovative column chemistries with a vigorous, easy-to-use, open and reliable system. The modular architecture optimizes how each unit works together; from fluidics, to sample management, to detection, while improving user interface accessibility. Our team integrated shelves into the sample organizer which are accessible through the swing door and that slide into slots for easy sample handling. Farm also incorporated windows that enable chemists to check interior operation without having to open doors. In addition, an internal drainage system was developed for simple detection and diagnosis of leaks. 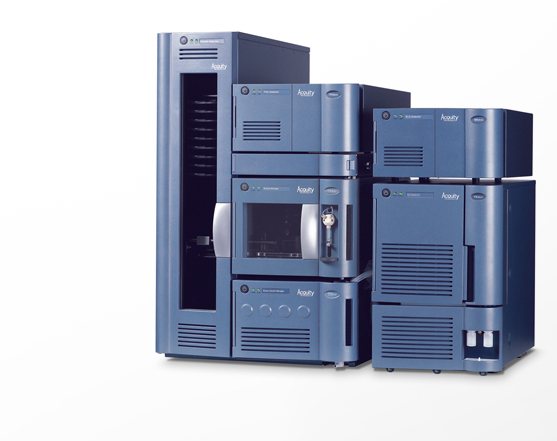 The new appearance of the ACQUITY UPLC System established a visual image reflecting the advanced features of the burgeoning proteomics market and have become the foundation for Waters' future liquid chromatography products.